That supposed gaming hobby soon turned into a successful board game startup called Façade Games that has raised more than $1 million on Kickstarter with its first three games. Their last game, Deadwood 1876, ended its month-long Kickstarter campaign on 22 March 2018, with pledges totaling $587,000, making it their highest-grossing game thus far. The game will be released this fall. 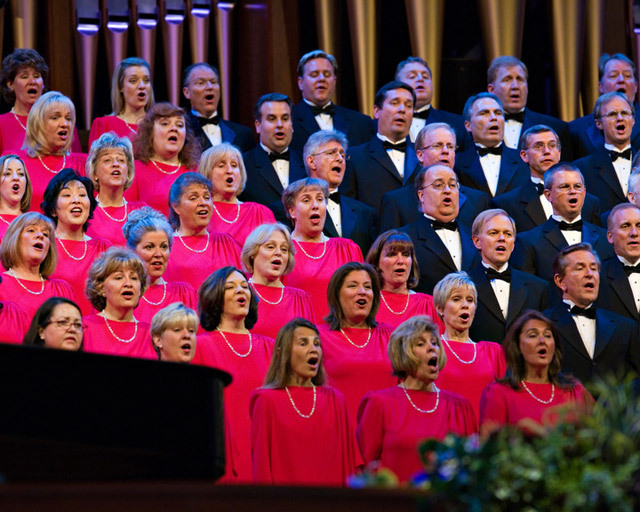 Travis and Holly are both members of The Church of Jesus Christ of Latter-day Saints. In October 2017, they moved from Springville, Utah, to Columbus, Ohio. 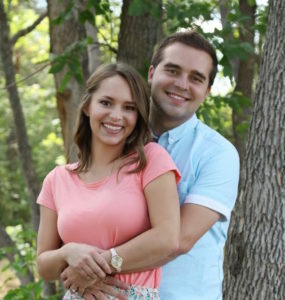 Travis, a graduate of the BYU business strategy program, is originally from Beavercreek, Ohio. He grew up in a family of nine children who loved playing games together. During a summer in Alaska with some friends, Travis created a Harry Potter version of the game called Mafia, a social-deduction game in which each player tries to identify the roles of the other players. He later changed it to a game called City. After meeting his wife and working together with her on the game, it took on the theme of the Salem Witch Trials. 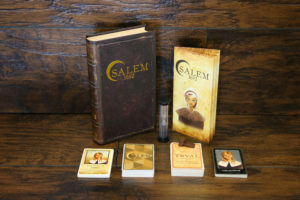 Thus, the game Salem was born. 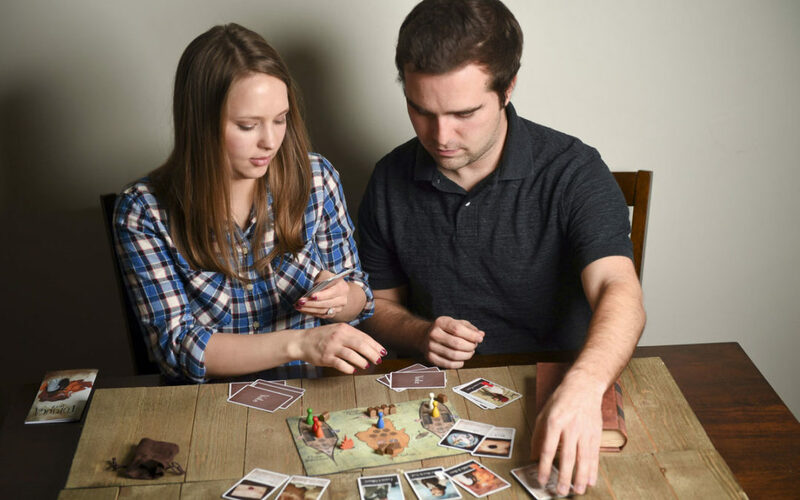 In 2014, Travis and Holly enlisted the help of Sarah Keele, an illustration major at BYU, who researched visual references and fashion trends from the period of the game to “make each piece feel like it is in the same world.” With the design, rules, and illustrations all in one nice neat package, the couple decided to put the game on Kickstarter. 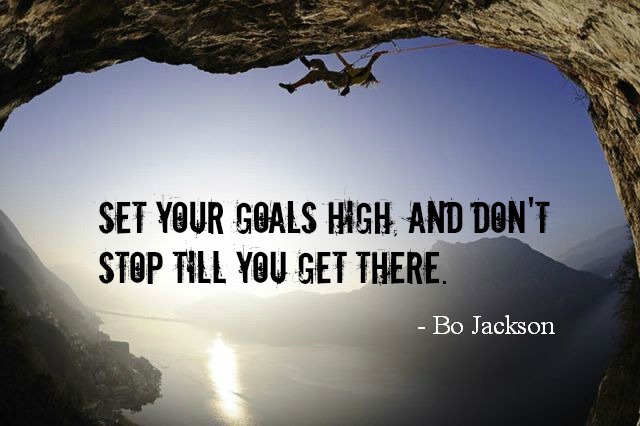 In spring 2015, Salem raised over $100,000, allowing Travis to quit his full-time job at an ad agency in Provo, Utah, to focus on games, however, he continued to do some digital marketing consulting on the side with his own company. 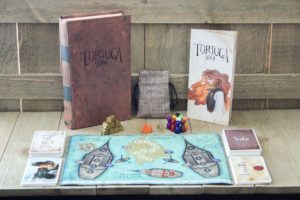 In January 2017, Travis and Holly launched their second game, Tortuga 1667, on Kickstarter, raising $400,000. 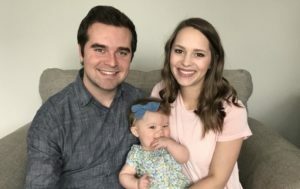 Travis then decided to pursue creating games full-time, and by the end of that school year, Holly had quit her job as an elementary school teacher. Earlier this month, Façade Games was featured by CNBC. As the venture continues to grow in sales and garner attention for its success, Travis and Holly remain focused on the most important element of their business – family. Being able to work from home has proven beneficial especially with a nine-month-old daughter. Travis handles the business side of Façade Games, as well as, the concept and manufacturing aspects of the games. Once a game is ready and complete with illustrations, Holly works on the design elements.